Dat fansee plaet wud maek a gud noyze! Ohai, thx an congrats awn teh LOL! An den ai cud eet da flours. Conga annipuss an ohai an conga puddy_tat two. Gud lol. 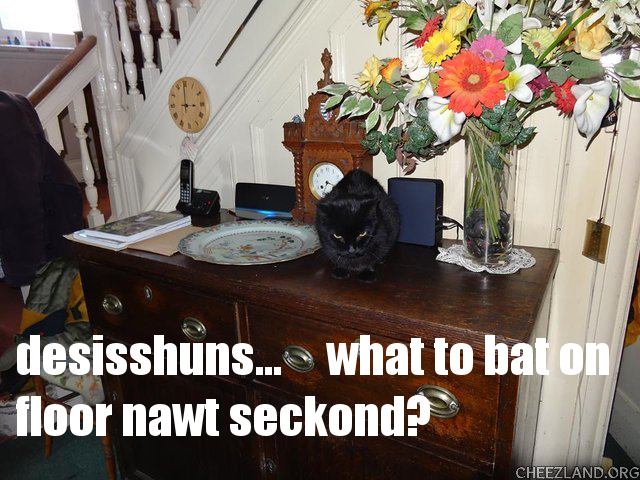 Prufe dat teh wirld iz nawt flat – iffn it wuz, teh kittehz wud hab battid ebrifin awf bai naow! Hmmmm, watt kost da most?